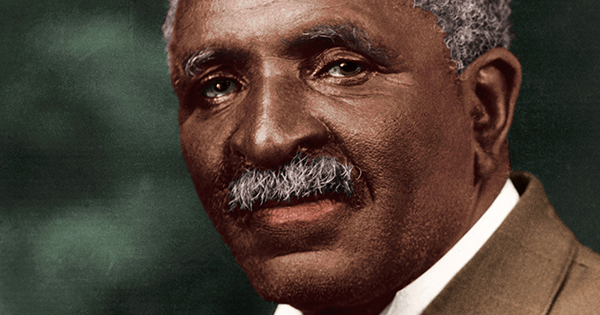 Born into slavery in 1864, George Washington Carver became famous as an agricultural scientist and a humanitarian. Although he invented more than 300 uses for peanuts, he also invented hundreds of uses for soybeans, pecans and sweet potatoes. But many would be surprised to know that he was also an accomplished musician and a gifted painter. #1 - He was the first African American that ever attended classes at Iowa State Agricultural College (today known as Iowa State University). After completing his Master’s degree, he also became the first African American professor at the college. #2 - He and his brother were kindly raised by slave owner Moses and Susan Carver after slavery was abolished. The Carvers even taught them how to read and write. #3 - Carver’s interest in plants started when he was very young. He was sick as a child, so he was given easier jobs like housekeeping and gardening. #4 - He was gifted at drawing and painting, and took art and piano classes at Simpson College in Indianola, Iowa. Guess what he painted? Plants and flowers! His art works were displayed at the World’s Fair in 1893. #5 - He came up with the idea of what is now known as soil conservation, recommending growing cotton and peanuts alternately in order to preserve the soil. The peanuts had lots of protein which kept the soil rich. #6 - He became known as “the peanut man” whose advice was sought by Presidents Theodore Roosevelt, Calvin Coolidge and Franklin Roosevelt. Even the Crown Prince of Sweden studied with him for a few weeks. #7 - Carver became good friends with Henry Ford. Later, when Carver’s health deteriorated, it was Ford who built an elevator in his dormitory to help him. #8 - He taught at the Tuskegee Institute for 47 years, and published numerous papers about agriculture. #9 - His research and original paintings can be viewed at The George Washington Carver Museum and Cultural Center in Austin, Texas. #10 - In 1977, he was elected to the Hall of Fame for Great Americans and in 1990 he was introduced to the National Inventors Hall of Fame.